Clare is now shipping version 2 of our award-winning Video Doorbell. 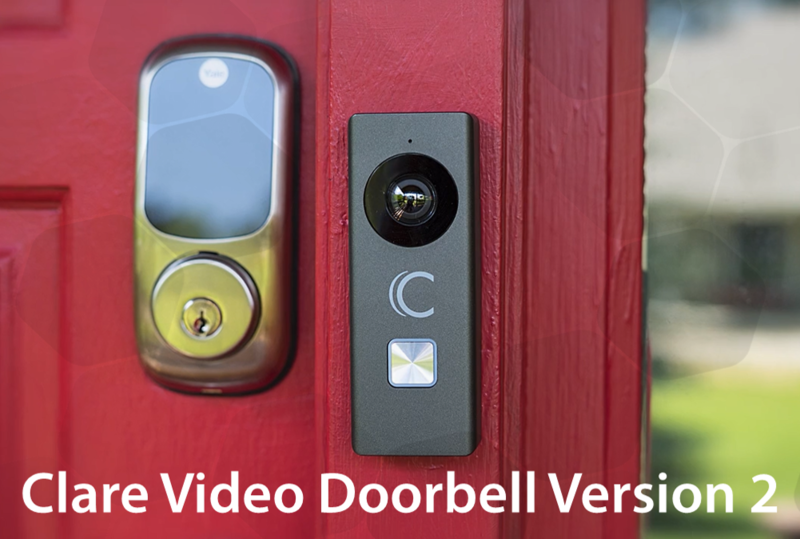 With new added features, and a lower price; the Video Doorbell is easier to setup, more reliable, and includes a wedge and spacer for easier installation. Additionally, existing Video Doorbells are getting a firmware update enabling new features. We are also releasing a big update to the ClareVision Plus App. Be sure to read more!